Difficult Histories/Public Spaces: The Challenge of Monuments in New York City and the Nation is a series of public programs in which historians, art historians, community activists, and artists will discuss the ongoing reevaluation of public monuments and memorials across the country and in New York City. New monuments are coming to NYC. But how will they be selected? The city established a Monuments Commission last fall and announced a $10 million pledge for statues or public art honoring neglected groups, and the same amount for monuments recognizing women. 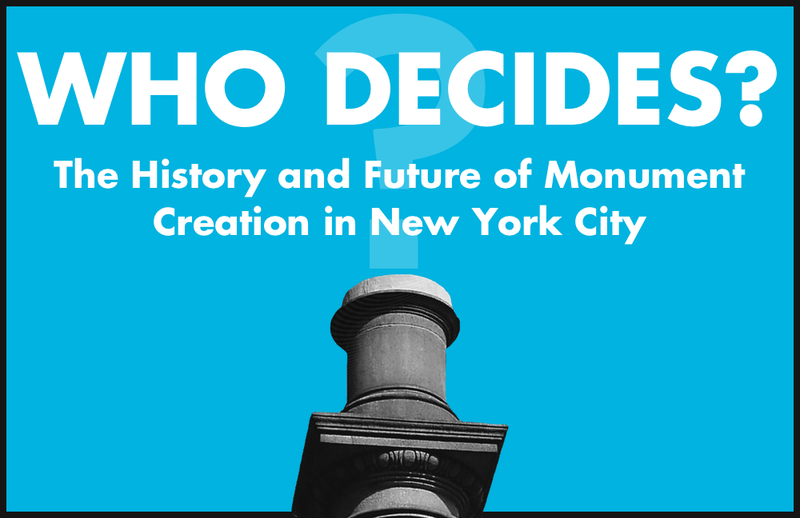 In this panel, historians, art historians, and monument advocates will discuss the history of monument creation, visions for new projects, and the current pressures on city agencies to respond to public opinion. Mary Anne Trasciatti, Professor of Writing Studies and Rhetoric, Hofstra University and President, Remember the "Triangle Fire Coalition"
Moderator: Todd Fine, History Doctoral Candidate, CUNY Graduate Center, President, Washington Street Historical Society, advocate of the monument for "Little Syria"
Series is supported with funds from Humanities New York and the National Endowment for the Humanities.